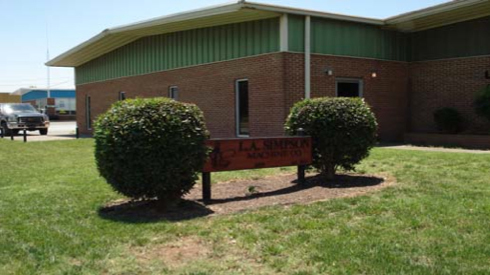 This facility houses over 15,000 square feet of CNC machine tools and other process equipment. Currently AEP&S has a total staff of three engineers with a combined experience exceeding sixty years with a back ground in trouble shooting a variety of field issues as well as installation, start-up and vibration of rotating equipment. AEP&S also has the abilities to support any hydraulic design issue as well as reverse engineering. At AEP&S, we have a Director of Quality located in Monroe, NC, QA Manager at both the Monroe, NC. and Barre, Ma. locations. Our experience working with MIL Spec, ISO 9001/2000 and 10CFR50 QA programs exceeds 50 years in the business. Currently our staff at AEP&S is constructed of a Plant Manager, Shop Supervisor, and area lead men. Our mechanics and field service technicians are all OEM trained with many years of experience in all major manufactures of pumps. We have extensive experience with Ingersoll-Rand, Worthington, Byron Jackson, Pacific, IDP and Flowserve product lines. AEP&S is currently staffed on a single shift Monday thru Friday with the flexibility of handling emergency work based on customer requirements and delivery needs. Our QA Program is ISO 9001/2000 coupled with meeting the requirements of 10CFR50. Currently AEP&S is ISO compliant seeking certification by first quarter 2008. Our ISO program has been in effect and under observation for Nine months. Procedures are complete for all sections of the QA manual as well as for certain special applications. Controlled copies of our QA/QC program and procedures can be issued for your review upon request. Our apprentice program involves all employees with continuous education and training for all support groups of our facilities. Allen Engineered Pumps & Services based on back ground and years of experience is very proficient in manufacturing and repair of all major pump brands and pump designs. AEP&S has extensive experience with Ingersoll-Rand, Worthington, Byron Jackson, Pacific, IDP, Sulzer and Flowserve product lines in the following services. General Service – Double Suction Axial Split, Frame Mounted, Close Coupled and Single Stage Process pumps. Multi Stage – Two Stage Industrial, Two Stage Process, Segmental Ring, Axial Split Case, and Radial Split Barrel pumps. Vertical – Sump, Turbine or VTP, Can / Barrel Process, Can Barrel Utility, Mixed Axial Flow, Double Suction. Specialty Products – Nuclear Utility, Feed Water, Condensate, Heater Drain, Charging, Containment Spray, Residual Heat Removal, Safety Injection, Circ Water and others. Emergency Work – Emergent work will be handled on a case by case basis. AEP&S is currently staffed to support emergent work and will react based on customer needs. AEP&S specializes in field service, field machining and turnkey projects with field engineers available for troubleshooting and diagnosis of pump related or other related support. The Company warrants that parts manufactured by the Company and furnished under this contract, will be free of defects in material and workmanship for a period of six months from the date of installation, exclusive of transportation, removal, and installation costs (or six months from date of delivery if not installed by Company), and at its option, shall either repair or replace such parts, provided the Purchaser promptly notifies the Company of defects therein, within said period.